Cinnabon Monkey Bread - Chocolate Chocolate and More! I know it’s the New Year and we’re all supposed to be eating healthier but this recipe is not my fault. You can blame Ashton of SomethingSwanky for this sugar meltdown. I few weeks ago, she made these CinnabonDonuts. I vowed to make them for the kids. The very next day, I was in Walmart and I swear, I think everyone else in middle Georgia must have seen Ashton’s post because there wasn’t a Cinnabon roll in site. I had to settle for the Mini-Bites. Let me tell you, I think as bite size they are even better than Ashton’s full size version because they become little Cinnabon Donut Dippers. Pure sugar heaven. You must try it! But since I never buy 1 of anything, I bought 4 cans of the Cinnabon rolls. What to do with the remaining 3? I asked for recommendations for my Waffle Iron on Facebook and someone mentioned Cinnamon Roll Waffles. Just place the cinnamon roll in the waffle iron…you get the idea. Sorry, Not a fan. I don’t recommend wasting your cinnamon rolls this way. Cinnamon rolls should be fluffy on the inside, not flat and mushed. And a little dry to be honest. The kids ate them anyway. There was sugar involved after all. So 2 cans left. These rolls are already cut to the perfect size for Monkey Bread. Oh yes! Ahmazing! I will warn you, this is a full on sugar high. Preheat oven to 375 degrees. Spray a bundt pan well with non-stick spray. Melt butter. Unroll dough and place in ziplock plastic bag. Add melted butter and shake well to coat dough pieces. Add sugar to bag and shake again to coat. Place coated dough pieces evenly around bundt pan. Bake for 25-30 minutes until top is a dark golden brown (but not burnt) and firm to the touch. Remove from oven and let cool in pan 5 minutes before inverting onto serving plate. Be careful, syrup will be hot! Warm icing provided with rolls and pour over top or serve on the side. 2 cans of the rolls will feed 5-6. You can also use 3 cans, increase the butter to 3/4 cup and the sugar to 1 cup to feed a few more. Don’t forget to enter to win the IPad I’m giving away, just click here to enter! I’m sharing at some of these great parties! Want more fun at breakfast? 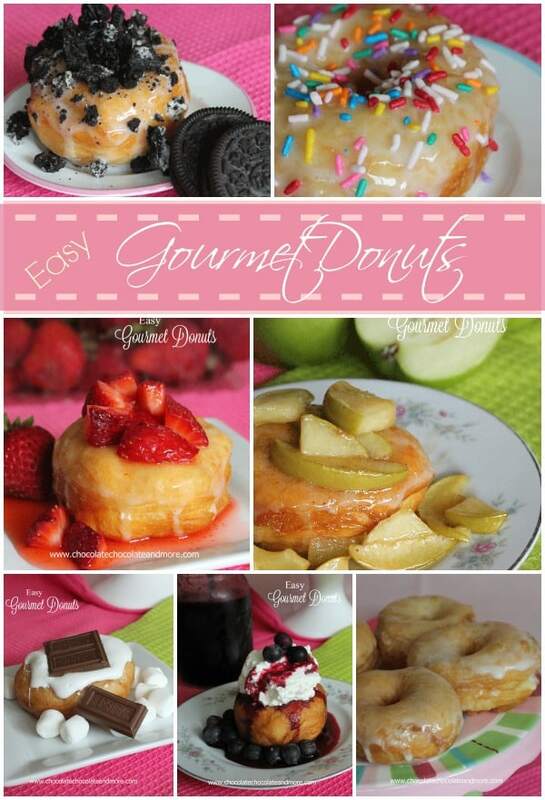 I am definitely going to try these, I know my grandgirls will love them. I’m living overseas and really miss Cinnabon. Can’t wait to try this when I return. I’m not bashful – can y’all send me two or three pans of that? Sure would appreciate it! hahaha! love it! I am drooling uncontrollably over here. That looks absolutely heavenly. The icing is my favorite part, and the last picture is making my mouth water!! Oh my word! That bread…I have no words!!! YUM!!!! I’m drooling, Joan! This bread looks fantastic! 3 ingredients???? Are you kidding? This is not good, I will be making this all the time! Yummy! Ooooh this looks like my aunt’s monkey bread recipe—which we all LOVE!!! Yummmyyyy! I love love love love cinnamon roll monkey bread. Delish Joan! Thanks so much for linking them to the Weekend Potluck and have a great week! We did the cinnamon roll waffles for Christmas morning last year and they were interesting. We found that, 1. so many in the house were interested that we all bought two different cans from different places, 2.we had lots of packages so we could try cinnabon to cheap kroger brand, 3. that about 60 or less is enough if we spray with pam each time, and finally 4. go for cheap, don’t waste the money on fancy when icing and good maple syrup really make the difference. I say try again if you really like cinnamon and waffles, we will!